A variable provides us with named storage that our programs can manipulate. Each variable in java has a specific type, which determines the size and layout of the variable's memory; the range of values that can be stored within that memory; and the set of operations that can be applied to the variable. 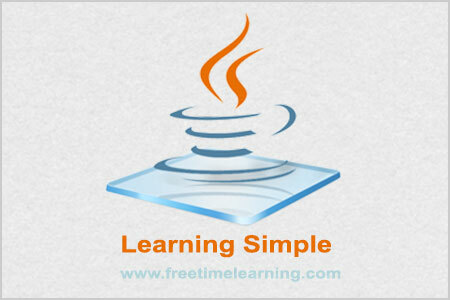 Here data type is one of java's data types and variable is the name of the variable. To declare more than one variable of the specified type, you can use a comma-separated list. 1. Instance variables are declared in a class, but outside a method, constructor or any block. 2.nstance variables are created when an object is created with the use of the keyword 'new' and destroyed when the object is destroyed. 3.stance variables hold values that must be referenced by more than one method, constructor or block, or essential parts of an object's state that must be present throughout the class. 4.nstance variables can be accessed directly by calling the variable name inside the class. However within static methods and different class should be called using the fully qualified name: ObjectReference.VariableName. 1.lass variables also known as static variables are declared with the static keyword in a class, but outside a method, constructor or a block. 2.tatic variables are stored in static memory. It is rare to use static variables other than declared final and used as either public or private constants. 3.tatic variables are created when the program starts and destroyed when the program stops. 4.tatic variables can be accessed by calling it with the class name as follows: ClassName.VariableName. 5.hen declaring class variables as public static final, then variables names (constants) are all in upper case. If the static variables are not public and final the naming syntax is the same as instance and local variables. b. By using class name possible. c. By using reference variable possible. object one separate copy is maintained. 2. Static variable for all objects same copy is maintained. One Object change the value another object is affected. Variables default values:- Case 1:- for the instance variables the JVM will provide the default values. Case 2:- for the static variables the JVM will provide the default values. Case 3:- for the local variables the JVM won’t provide the default values before using those variables we have to provide the default values.